We are starting a new chapter book, having reached the thrilling conclusion of Leepike Ridge. We’re reading one of our potential Battle of the Books books for next year, Dragonbreath by Ursula Vernon. Today I brought in a new book from the Seattle Public Library called Owly and Wormy: Friends All Aflutter. 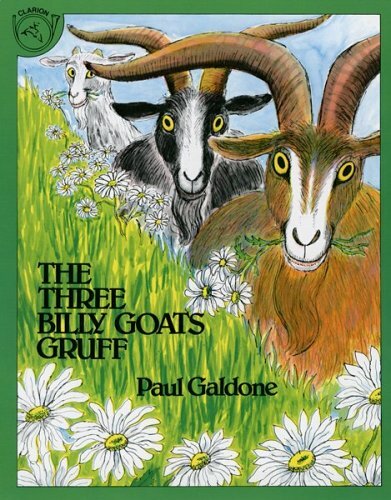 It’s eligible for this year’s ALA awards, including the Geisel award and the Caldecott. 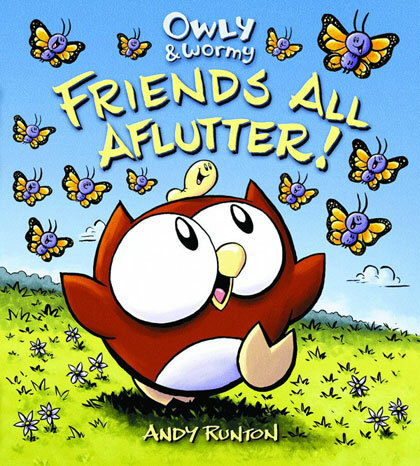 I discovered the author Andy Runton also has written a series of graphic novels about Owly. You can find out more about them by visiting Andy Runton’s website. 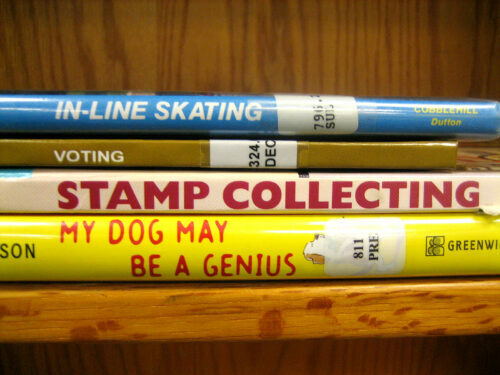 Over at 100 Scope Notes, they’ve been preparing for National Poetry Month in April by putting together Book Spine Poetry. Here are some examples to get you started. Check back later for our contributions! 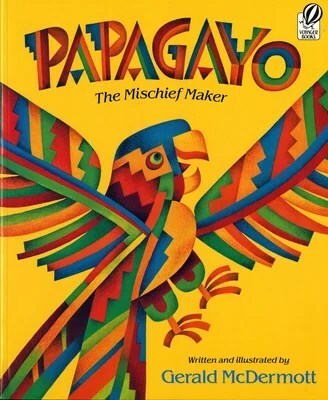 Papagayo is a loud parrot, and the night creatures don’t care for all his squawking. But they start to change their tune when a giant dog wakes up and begins chomping on the moon. Second graders in Federal Way have a science unit on weather. It might be fun to use this and other weather legends to explain how different cultures used to explain conditions in nature. This book is by Gerald McDermott, who won the Caldecott award for Arrow to the Sun and a Caldecott Honor for Anansi the Spider. He’s another great candidate for an author study. You could also read this book with The Parrot Tico Tango or fellow Caldecott winner Why Mosquitoes Buzz in People’s Ears. For a more advanced conversation, consider — why were so many legends and folk tales selected for Caldecotts in the 1970s and 1980s? You might want to look at this link for some new perspectives. Plenty of lesson plans are available for trickster tales, which is the subgenre this book falls into. Did you know Papagayo has been made into an opera? And if you’re in Nebraska, you might even be able to catch McDermott’s show at the Joslyn Art Museum! Retell the story. This is a pretty basic plot line, so it would be a useful to book to use to help students either increase or decrease the level of detail in the retells, depending on what’s necessary. Ask questions throughout the reading process. Because the book follows a time pattern (first one night, then the next night, etc. ), checking in on how predictions and ideas change would be able to happen at pretty natural stopping points. Many of them are light on the text, making them perfect for primary read alouds. Most sets have three or more copies, so an entire grade level team can plan their read alouds collaboratively if they so choose! 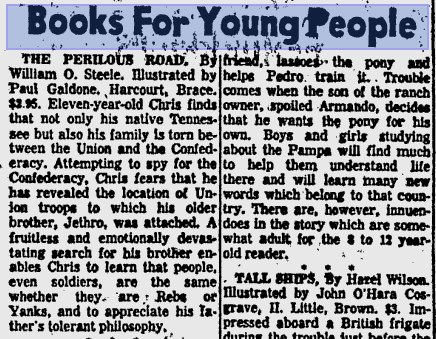 Quite a few of the books have a “sister text” pairing fiction with nonfiction, another powerful planning tool. If you’re looking to celebrate the arrival of spring with a study of nature and/or of poetry, this website is a good place to start for some hummingbird-inspired poems. Use text features. Despite being narrative nonfiction and being such a basic book (its AR readability level is 2.3), A Hummingbird’s Life is chock-full of text features. There’s an info box at the front giving background information on the Ruby-throated hummingbird, a glossary, and an About the Author section. Use main idea and supporting details to determine importance. Another great benefit of this text being so short is that you can copy the entire book onto a piece of chart paper, project it using document I’ve typed here, or give each student their own copy to mark what they believe are the main ideas. Trade a word / guess a word that makes sense. Many primary science units (at least in our school district) are about animals, habitats, and ecosystems. Talk with students about how their familiarity with new vocabulary they’ve learned in their science unit can help them read accurately. Increase Stamina. Because of the limited amount of text in this book, this might be a good book for young primary students to practice making it all the way through a read aloud without needing a body break. Comments and constructive criticism are always welcomed! Please leave a comment if you’ve found this helpful! See a preview of this book at Google Books. DID YOU KNOW that wild boars are an invasive species to North America? It’s true — they came over from Europe. If you’re using this book with older kids, it might be neat to talk about metaphors — the boars as plaid-shirt-wearing ruffians are a bit of a pain, but is this perhaps also a commentary on wild pigs running amok? Use prior knowledge to connect with text. Countless books are written where the mean old rotten character turns out to have charming, redeemable qualities in the end. Not so in this book. Yet, the author doesn’t advise the reader to take action against these meanies, just to be wary and respond appropriately. What a refreshingly honest message! Use the picture… Do the words and pictures match? Onomatopoeia are great for getting students who think they don’t NEED to use the picture to slow down and take a look at the picture. If you don’t use the picture, how will you know precisely how to articulate that SNORT? How in the world could you decide what emotion TUSK conveys? Adjust and apply different reading rates to match text. 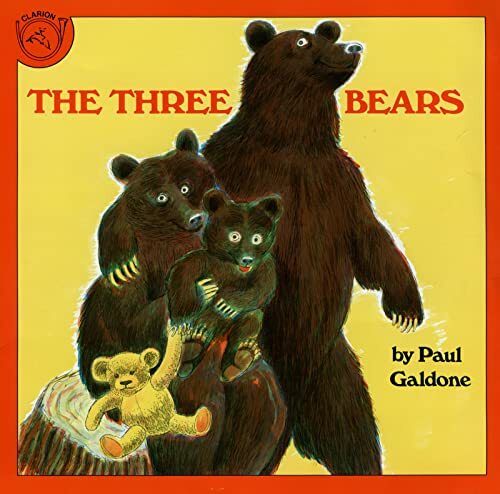 We usually read a book with repeated phrases and patterns differently than we would a regular fiction book or a nonfiction text.